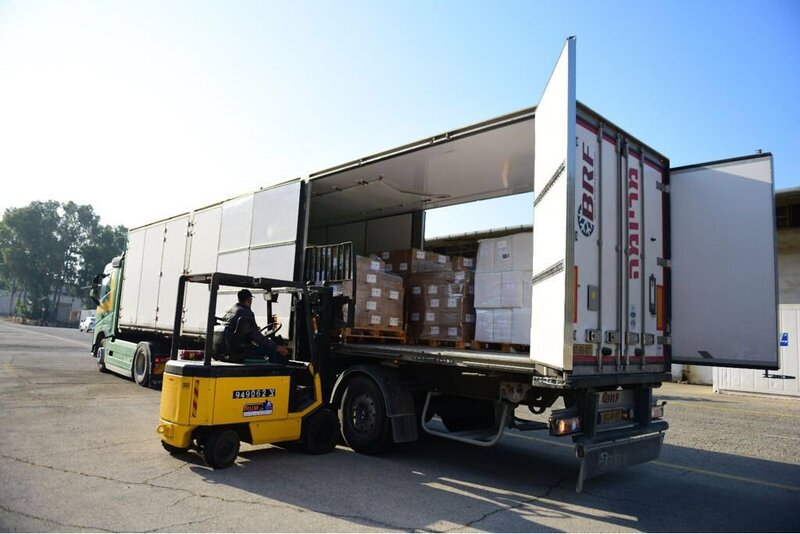 An Israeli truck being loaded with life-saving medical supplies for the people of Gaza. Hamas did not let the truck in. May 2018. (JNS.org) Despite Hamas’s repeated assault on the Kerem Shalom border crossing—the only lifeline that supplies basic goods to civilians in Gaza—Israel has been battling intensively to keep the crossing active. The episode underlines a much wider phenomenon in which Hamas seeks to create a crisis to find outside funding for Gazans’ needs, so that it can ensure the stability of its regime and keep supporting its military wing. Meanwhile, the Palestinian Authority seeks to choke off Gaza’s economy as a form of punishment for Hamas refusing to disarm its military wing and to force Hamas to pay a price for splitting off from the P.A. However, those paying the price for these events are the residents of the Gaza Strip. Three times this month, Kerem Shalom was attacked by mobs acting under instructions by the Hamas terror organization. Rioters burned down fuel pipes that supply Gazans with critical energy needs and looted the Gaza side of the crossing terminal. According to Israeli intelligence assessments, these actions are part of a wider effort by Hamas to ramp up the pressure on Israel and the international community to get them fresh funds for the collapsing Gazan economy. The deadly border incidents orchestrated by Hamas this month is part of this same effort. Hamas wants someone else to foot the bill for the civilian economy, so that it can rescue its regime from collapse. Gaza’s power plant, for example, runs on gas and can supply 150 megawatts of electricity per month. Yet on April 12, Hamas shut the power plant down completely, harming the energy needs of 2 million Gazans. Throughout this time, gas was flowing freely into Gaza from Israel. Despite the daily power cuts to Gazan civilians, Hamas’s tunnels continued to be powered with electric lines. It is safe to assume that Hamas’s rocket factories also continued to work. Israel is, in fact, the only country that has been fighting to keep Gaza linked up to electricity. Egyptian power lines can deliver 30 megawatts, but have been shut down by Egyptian authorities for the past four months. As part of its conflict with Hamas, the P.A. reduced payments for electricity. Israel quietly pressured it to reverse this decision, and so the P.A. eventually agreed to begin paying for Gaza’s power again. Similarly, at Kerem Shalom, it is Israel that’s working around the clock to keep the crossing open and functional, despite Hamas’s own attacks on it. “The most important thing to know is that these people who came to Kerem Shalom and demolished the crossing point did not go there by themselves. We know that Hamas sent them,” a senior Israeli security source said, speaking earlier this month. Brig.-Gen. (Res.) Alon Eviatar, an expert on the “Palestinian” arena and a former adviser to Israel’s Coordination Unit for Government Activities in the Territories, told JNS that Israel has been left on its own to deal with Gaza’s economic and humanitarian needs. Even though the Jewish state wanted to disconnect from Gaza after leaving it in 2005, “it learned over the years that it is becoming the central player, against its interests. Not Egypt and not the Palestinian Authority,” he said. The P.A., for its part, is deliberately letting go of its responsibility for Gaza, added Eviatar. This is most visible in sanctions taken by Abbas in the past year against the strip. At the same time, Israel understands that Hamas is going to remain in power for many years to come. As bitter a pill as this is to swallow for Israel, it is preferable to having a power vacuum with no one ruling Gaza at all, resulting in armed anarchy, according to the Israeli perspective. Meanwhile, Hamas has realized that if it wants to avoid going back to being an underground armed movement, it must find a solution to the civilian needs or risk losing its rule. 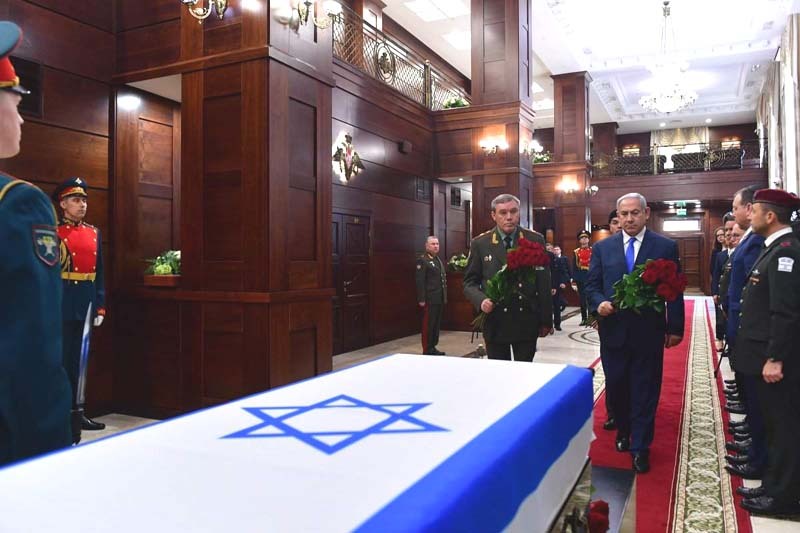 The way out of this dead end, according to Eviatar, might well be in the form of a “tactical, temporary arrangement with Hamas” that would protect Israel’s security control on the one hand, but allow for sufficient economic assistance on the other, thereby preventing a future explosion. Until such a potential development occurs, Israel has attempted to take some of the pressure off Gaza. In recent months, Israel significantly increased the number of permits it granted to Gazan businesspeople and traders, allowing them to enter the country via the Erez pedestrian border crossing. The first quarter of 2018 saw an increase in 80 percent of such traffic, according to the senior Israeli security officer, with 10,000 movements recorded in the past three months alone. Yet Hamas, as part of its campaign to ramp up the pressure to find a bigger solution, disrupted this economic progress, setting up a checkpoint before Erez on the Gazan side and stopping some of the businesspeople from entering Israel. In addition, Hamas routinely forces such pedestrians to try and smuggle terror-financing cash and explosive material into Israel, though these efforts are usually intercepted by the Israeli Defense Ministry’s personnel, who run the crossings. Similarly, on the humanitarian front, the P.A. froze the transfer of medical goods into Gaza, leaving Gazans dependent on Israeli medical supplies entering Gaza via Kerem Shalom. In the first quarter of 2018, Israel’s efforts enabled Gazans to export 37 million shekels of agricultural goods, 2 million shekels in furniture exports and 8 million shekels of textiles. Nevertheless, these efforts have not been adequate to forestall a crisis in the Gazan economy—a crisis created by Hamas, but which Israel now has no option but to address.